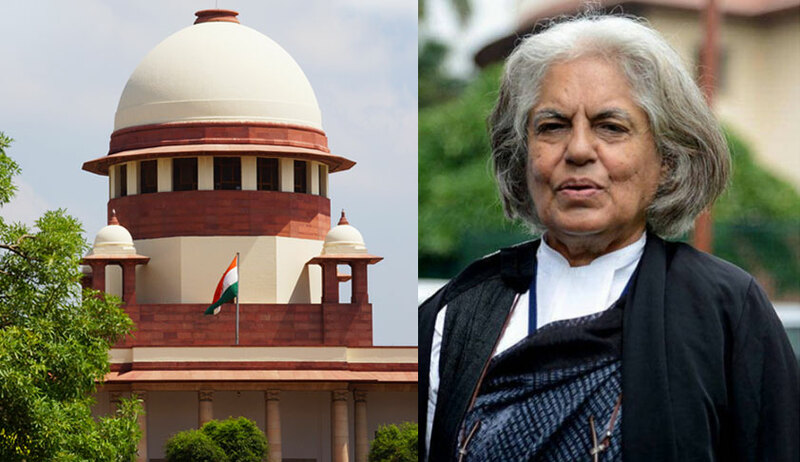 In a tweet, Senior Advocate Indira Jaising has claimed that the Supreme Court has wrongly recorded in one of its recent orders that she agreed to transfer of the Petitions in Judge Loya case from the Bombay High Court to the Apex Court. The Bench comprising Chief Justice of India Dipak Misra, Justice A.M. Khanwilkar and Justice D.Y. Chandrachud had, in its order dated 22 January, noted, "We have been apprised that two Public Interest Litigations have been filed in the Bombay High Court, one at the Principal Seat at Bombay High Court forming the subject matter of P.I.L. No.2 of 2018 and another at the Nagpur Bench of the Bombay High Court i.e. Writ Petition No.1130 of 2017. We think it in the fitness of things appropriate to transfer the said writ petitions to this Court and, accordingly, it is so ordered. Mr. Dave and Ms. Jaising have fairly agreed to this course of action." It is this observation that Ms. Jaising has now rebutted and has approached the Court for its removal. Speaking to LiveLaw, she said, "The order dated 22nd January records at page 3 that Dave and miss JAISING agree to this course of action, that is transfer of the two petitions from High Court to Supreme Court. I am not appearing for either of the petitioners, Mr. Dave said he was appearing on behalf of Bombay Lawyers Association. The Nagpur Petitioner was not present before the Court. That is why the order says that the registrar will inform them directly and if they wish they can assist the court. It follows therefore that I could not have agreed to the transfer. I mentioned that this should be corrected, I pointed out that page to my request to intervene is recorded. Hence the obvious error must be corrected. The judges kindly agreed. In my opinion, the Supreme Court is a court of record and hence the record must be accurate. I have informed the Court I am filing an intervention on behalf of Admiral Ramdas. (sic)"
The Court had, on Monday, directed that similar Writ Petitions pending before the Bombay High Court be transferred to it and barred all High Courts from entertaining any similar petitions. The two Petitions before the Apex Court- one filed by Mr. Banduraj Sambhaji Lone and another filed by Mr. Tehseen Poonawalla- demand an independent probe into the mysterious death of CBI Special Judge Brijgopal Harkishan Loya in 2014, when he was presiding over the Sohrabuddin fake encounter case. The 48-year old Judge had died of a cardiac arrest in Nagpur, where he had gone to attend a wedding on December 1, 2014.